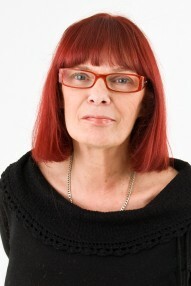 I am a counsellor and psychotherapist with over twenty years experience. I work integratively, which means I have the benefit of drawing on a range of tools according to the needs of my clients, including aspects from the psychodynamic, creative arts and transpersonal approaches. I work holistically, taking into account all the many dimensions that makes us human. Stress and pain can cause us to shut down some aspects of ourselves, causing anxiety, depression and other symptoms. My work is about how we can begin to understand and heal from this in order to reach our potential and become more fully ourselves. Key to my approach is supporting people to develop a sense of self -awareness and authenticity, both in their relationship with themselves and with others. I also specialise in working with addictions and psychosexual issues working in a holistic way, enabling clients to work through and understand any sexual difficulties and relational issues they have, an area in which this is particularly important. I am a 5 minute walk from both Kilburn Park Tube station on the Bakerloo line and West Hampstead station on the Jubilee line. I have 2 overground station near me: ( Brondesbury and West Hampstead), as well as Thames link. By bus I am very close to Camden and Portobello Road, the 31 and the 328. Queenspark is walking distance.